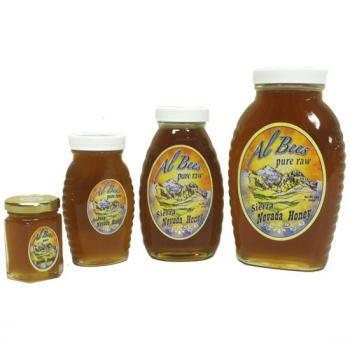 We feel that Al Bees Honey is the best tasting honey we have ever eaten. It's pure, raw and unprocessed honey kept as natural as the bees would eat it. Hives are kept in various locations thoughout the Sierra Nevada with a focus on the Reno area. Available in 3 oz., 8 oz., 16 oz. and 32oz. jars. Alpen fine coffees are Organic and roasted with care in the Carson Valley. 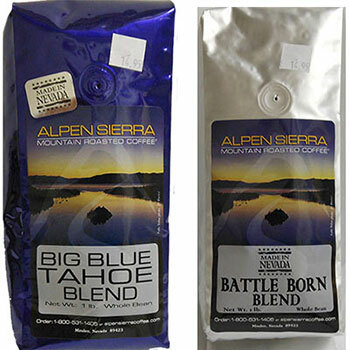 Choose from their Big Tahoe blend or the Battle Born blend. Big Tahoe blend is a multi-roast blend of premium coffees. The flavor is rich and nutty, followed with silky-smooth, sweet notes and a long and lingering finish. The Battle Born Blend is a roasted blend of multi Latin American coffee beans. The flavor is full bodied with a smooth finish. Whole bean Alpen fine coffees are roasted with care in the Carson Valley. 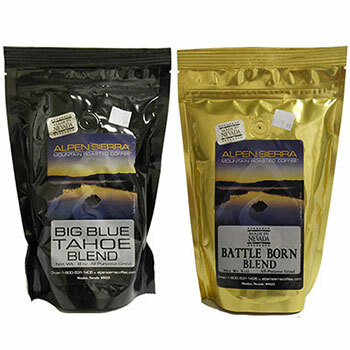 Choose from their Big Tahoe blend or the Battle Born blend. Big Tahoe blend is a multi-roast blend of premium coffees. The flavor is rich and nutty, followed with silky-smooth, sweet notes and a long and lingering finish. The Battle Born Blend is a medium dark roast with smooth full body flavor. 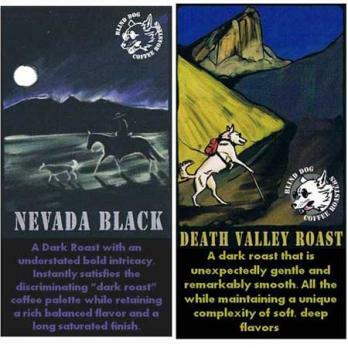 Choose from DEATH VALLEY, DECAF KOMODO or NEVADA BLACK. Our DEATH VALLEY roast is a blend of our darkly roasted beans, which we have turned into our French Roast. As smooth as it is you'll be wondering, "Why Death Valley"? NEVADA BLACK, what Nevadan hasn't seen a night so dark, so calm, so pure? 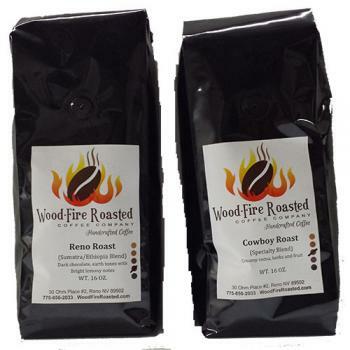 Like the greatness of the state we are pround to offer you one of our finest roasts that is smooth to the last drop. Ground 12oz. bags only. 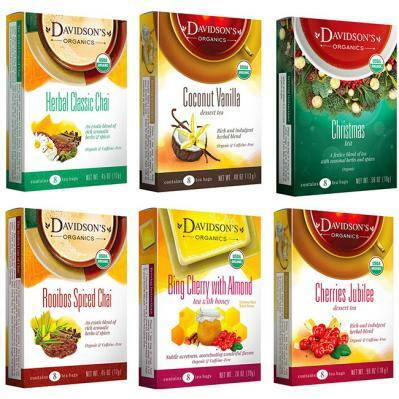 Davidson's Organic Tea is offered here in a variety of flavors, these boxes have 8 individually wrapped tea bags inside.We offer Caffeine Free and Caffeinated varieties. 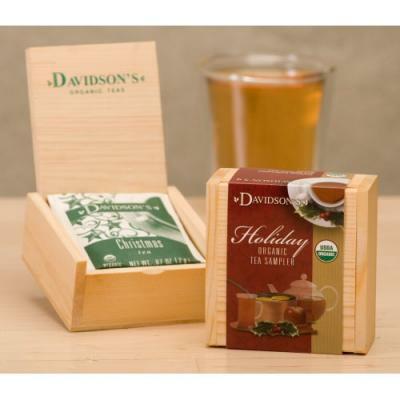 Our Davidson's Gift box tea collection makes a great gift for any tea lover. Comes with 40 assorted teas in a reusable wooden gift box. Choose from Classic teas, Traditional teas, Green teas, Dessert teas or Tea with Honey gift box assortment. 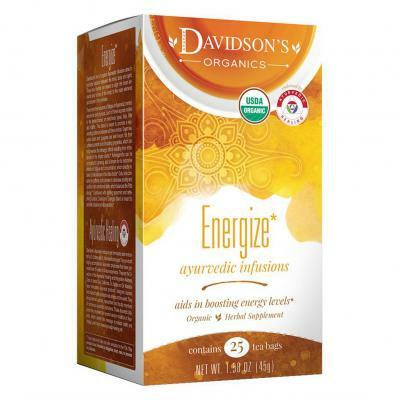 Davidson's teas are all certified organic and are produced in Sparks Nevada. 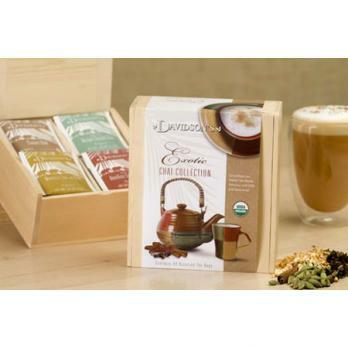 This reusable wooden tea box comes complete with 6 assorted teas. Makes a great stocking stuffer. Choose from Holiday sampler, Organic Dessert tea sampler or Ayurvedic Infusions sampler. Lattin Farms Jams are grown and made in Fallon Nevada. Great tasting with many flavors to choose from. 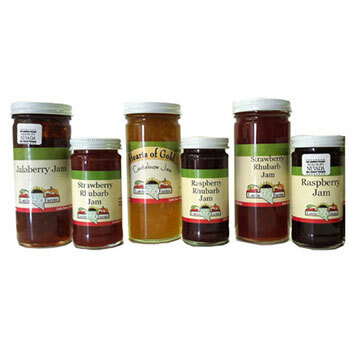 Lattin Farms jams are available in 4oz or 8oz. jars. There best known for their Fallon's famous Heart of Gold Cantaloupe jam. It has been featured in magazines like "Everyday with Rachel Ray" and "Cooking Light." It was also featured in an online show, "Panos' Food Odyssey." These delicious natural fruit jam recipes are created by Jan Moritz of Carson City. The Flag Store in Sparks is proud to put our family’s Battle Born Gourmet label on these wonderful tasting jams. 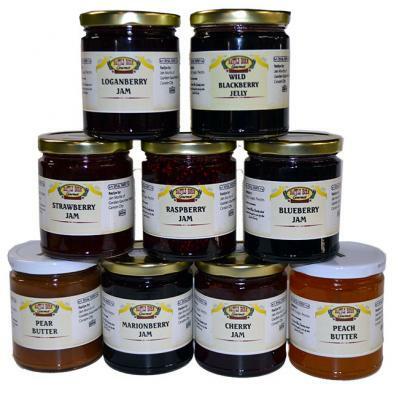 Flavors available Blueberry, Raspberry, Cherry, Loganberry, Marion berry, Strawberry, Pear Butter and Peach Butter. Size 8 oz.